Home >> Supreme Court Rules >> CHAPTER 6: TRIAL COURTS >> Article 12: Problem-Solving Courts. >> § 6-1201. Establishment. Sections 6-1201 through 6-1210 shall govern all problem-solving courts established by and within the Nebraska judicial system. 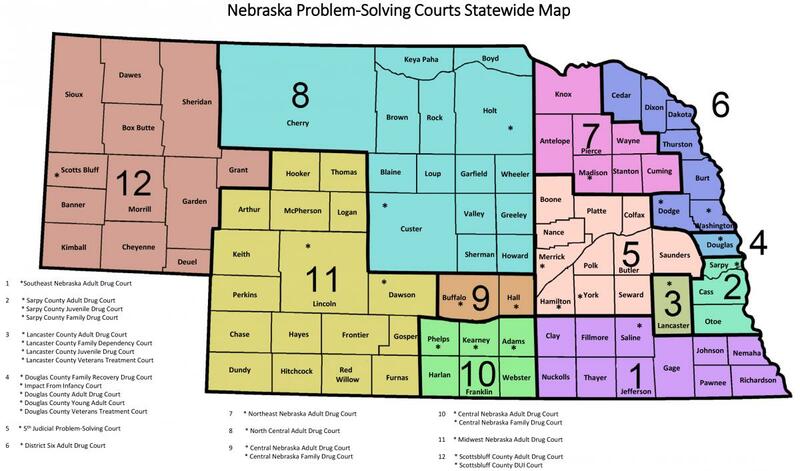 Problem-solving courts shall exist and be established only upon approval of the Nebraska Supreme Court. § 6-1201 amended September 21, 2016.